If the front fork feels too soft or too hard this can be solved by exchanging original front fork spring with aftermarket products. 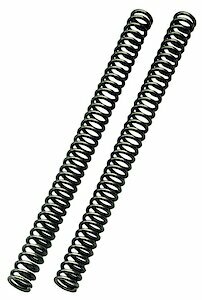 Öhlins offers a wide range of linear front fork springs with different spring rates for road and off-road bikes. Öhlins fork springs - just as all Öhlins motorcycle products - are individuellay tuned and tested for each bike model.